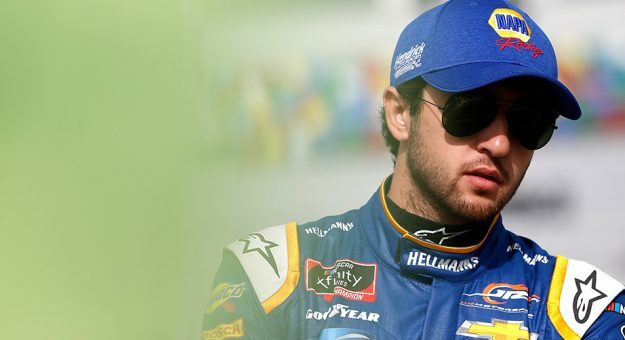 Chase Elliott will return to the NASCAR Xfinity Series for the season-opening race at Daytona International Speedway to pilot the No. 8 Chevrolet Camaro, JR Motorsports announced Thursday. Elliott, the 2014 Xfinity Series champion for JRM, will debut the No. 8 car for JRM with primary sponsorship from AfterShokz headphone brand for the NASCAR Racing Experience 300 (Feb. 16, 2:30 p.m. ET, FS1, MRN, SiriusXM NASCAR Radio). Along with his title, Elliott has earned five victories in 80 races for JRM. Elliott’s last trip to Victory Lane came in the the 2016 Xfinity Series season opener at Daytona, driving the No. 88 entry in the first of six races that season. Elliott also competed in eight events throughout the 2018 season, including one race for JRM and seven starts in the No. 23 GMS Racing Chevrolet. — Spencer Gallagher will drive the car at Talladega Superspeedway (April 27) and Daytona (July 5). — Ryan Preece will compete in races at Atlanta Motor Speedway (Feb. 23), Auto Club Speedway (March 16), Pocono Raceway (June 1) and Watkins Glen International (Aug. 3). — Zane Smith will make his NXS debut at Las Vegas Motor Speedway on March 2. He will also compete at Bristol Motor Speedway (April 6), both Richmond Raceway events (April 12 and Sept. 20), Dover International Speedway (May 4 and Oct. 5) and Iowa Speedway (June 16 and July 27) events. — Ryan Truex will drive for the organization at ISM Raceway (March 9), Las Vegas Motor Speedway (Sept. 14), Charlotte Motor Speedway (Sept. 28) and Kansas Speedway (Oct. 19). — Jeb Burton will drive at both Texas Motor Speedway events (March 30 and Nov. 2), Charlotte Motor Speedway (May 25), Chicagoland Speedway (June 29) and Homestead-Miami Speedway (Nov. 16).